Can I set the correct quantity of labels to print when my stock arrives? I always have extra labels or not enough. 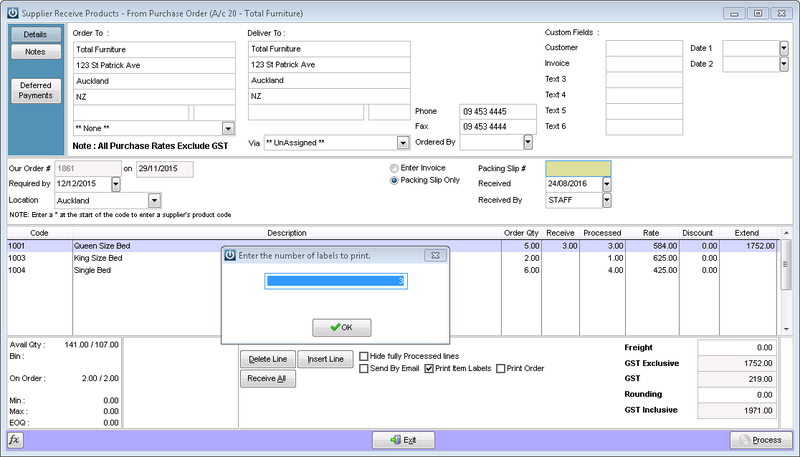 By either setting a flag in Admin / Defaults / Manage Product Defaults - Print Labels when Receiving Products or ticking the box at the bottom of the Purchase Order or Supplier Invoice you can print out barcode labels. 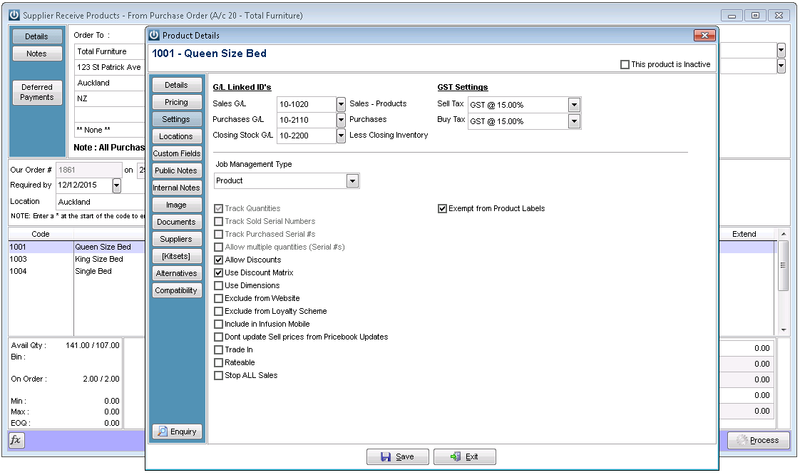 The number of those can be set from the Product itself, in the order right click on the Product to open. For those items that do not need a Product Label printed, tick the box and no labels will be printed. 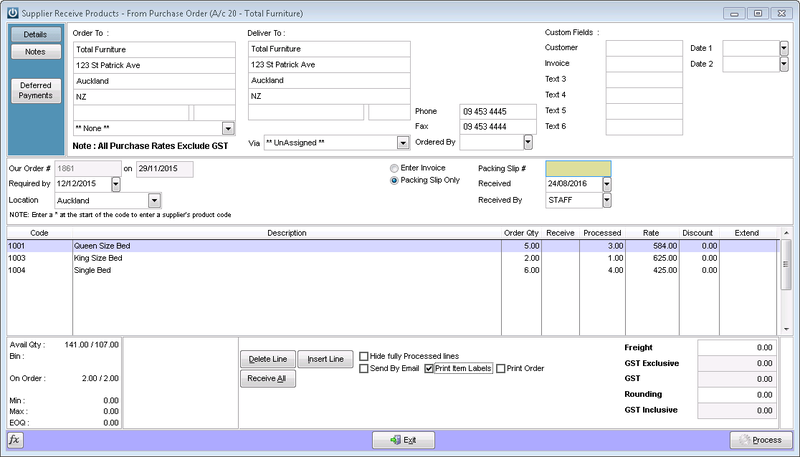 To vary the number of labels that need to be printed each time the products are receipted in. In the Receive column press F11 and the box below appears. Enter the number of labels per products that are required. 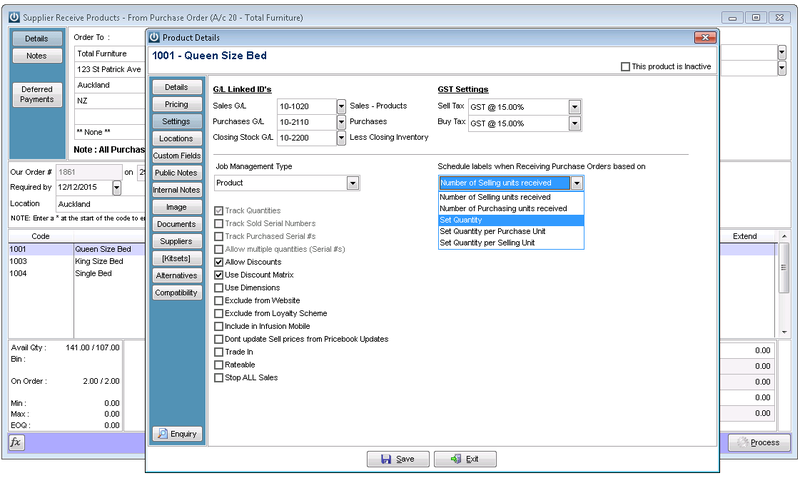 Job Management Orders will give the option to Print the Job Labels, these will contain the Job Number along with the Product Code. In both Options once the Process button is pressed the labels will be printed.